I can’t believe it has been five long years since I’ve visited Tallinn the last time. This weekend was also the first time I visited the city during winter. 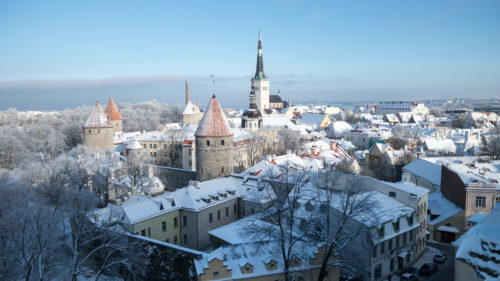 The old town of Tallinn looks pretty during the wintertime too. The old town is still a charm (maybe even more than before), but the city center is still a weird architectural mess. And a mess was my travel plan as well. I basically decided the previous night I’ll go there and it really backfired. I mostly just walked around the streets and shopping malls wondering what should I do. Linnahall is one of the strangest building complexes I’ve seen anywhere. But I’m relieved I did it anyway, I needed to get out of Helsinki for a moment. And I need to get out of Helsinki more often in the future too. So much to see out there, somewhere. I’ve also kept on listening to music. My current favorites are Pharaoh Overlord‘s (basically Circle minus lead singer Rättö and musically more stoned) albums “#4” and “Lunar Jetman”. 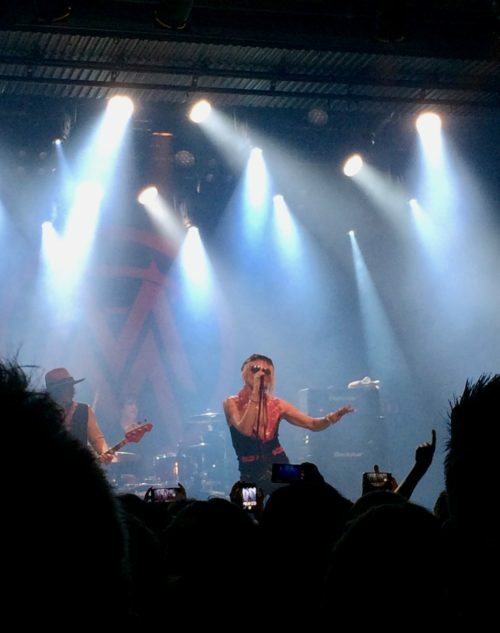 In the live front, I finally saw Finnish rock legend Michael Monroe at Tavastia. Okay, I did see him briefly perform a year ago at Helsinki’s New Year Eve show, but I don’t count that. A true original Finnish rock’n’roll legend, Michael Monroe. I have to admit I don’t know his solo work that well, but he and his band managed to pull off a good rock’n’roll show none the less. Monroe really likes to jump and twist around the stage, so much in fact that I don’t think I’ve ever seen a roadie clear up the microphone cords so often during one show. I did however ponder afterwards should’ve I picked my other live choice for the evening, which would have been Lehtisalo & Rättö (among others in small one night festival). They might not have the same international fame Michael has, but they are cult icons of Finnish music in their own way (Lehtisalo is the only original member of Circle and Rättö is a multitalent artist of all sorts). A considerable amount of time has also been used comparing all sorts of turntables available. I’m clearly swimming in dangerous waters now. I just hope I don’t turn into an audiophile in the process. I simply can’t afford that kind of obsession. The annual DocPoint festival also took place. I went to see six documentaries, of which I think the most interesting was Ex Libris. It was a mammoth three and a half hours long passive observation of the New York Public library’s staff and customers. I found it however quite interesting to watch, since I personally love libraries in how they equally offer information to all ages and backgrounds without charge. And – as the documentary shows – being a community hub platform for the people of the city. And since we are talking about film festivals and Tallinn earlier, I’ll close this post with the trailer of Estonia’s first years after gaining independence from Russia again in the early 90’s. This was also an interesting documentary.